From the moment he enters a room, it becomes clear that Jay Allen is here to tell his story. The tattoo-clad singer/songwriter has his heart inked on his sleeve – so to speak – and sings with conviction onstage that stems from the lessons his parents taught him and the music he heard around the house. Knowing the stage was the only place he wanted to be, Jay packed his bags five years ago and moved to Nashville. 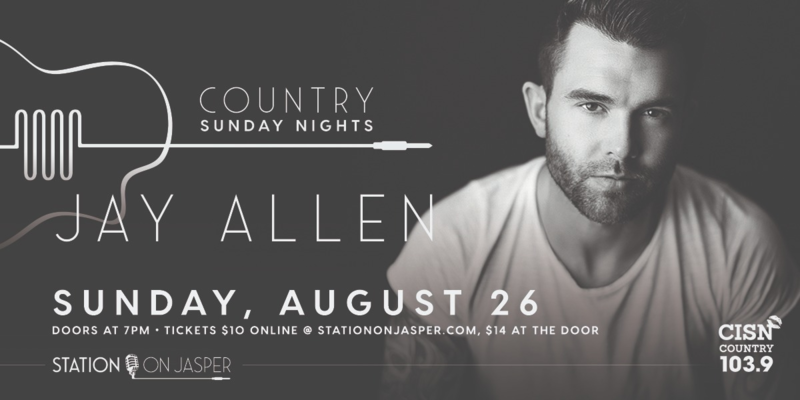 Station On Jasper presents an amazing Country Sunday Night.